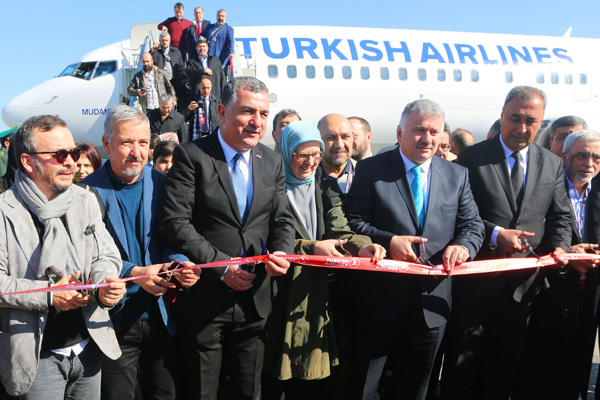 Flag carrier Turkish Airlines has added launched flights from Istanbul to Samarkand in Uzbekistan, the second destination in Uzbekistan after capital city Tashkent. Turkish Airlines CEO Bilal Ekşi said: "We have launched flights to Samarkand, one of the most important cities of our civilization, and on Unesco's World Heritage list. It will be able to fly to Samarkand from 121 countries, through direct flights that we launched." "I believe that this pearl city which hosting the madrasahs, mosques, museums, tombs, observatory and architectural masterpieces, will progress in tourism in a short time. Also, we are glad to serve this city that is the eternal resting place for historical figures and scholars," he said. Turkish Airlines operates seven flights per week to Tashkent and will operate twice weekly to Samarkand. Depending on demand, the frequency of flights to Samarkand may move up to thrice weekly, Ekşi said.